NEW YORK, New York, January 28, 2014 (ENS) – Pete Seeger, legendary folk singer-songwriter and environmental activist, passed away on January 27 at Columbia Presbyterian Hospital in New York City surrounded by his family. He was 94. 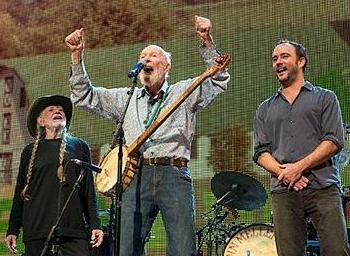 In January 2009, Seeger joined Bruce Springsteen, grandson Tao Rodríguez-Seeger, and the audience in singing the Woody Guthrie song “This Land Is Your Land” during the finale of President Barack Obama’s Inaugural concert in Washington, DC. In May of 2009, The Clearwater Concert, featuring dozens of musicians at Madison Square Garden was held to celebrate Seeger’s 90th birthday. The event was later televised on PBS and proceeds from the event went to benefit the clean water advocacy group he founded, Hudson River Sloop Clearwater. More recent performances include the August 2013 interview on Democracy Now! where Seeger sang, “I Come and Stand at Every Door” in honor of the 68th anniversary of the Hiroshima and Nagasaki atomic bombings. Seeger was recently preceded in death by his wife of 69 years, Toshi Alina Ota, who passed in July 2013 at the age of 91. 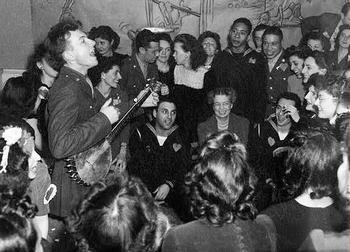 Seeger and Toshi met at a square dance in 1939 in New York City and were married in 1943. Pete and Toshi founded Hudson River Sloop Clearwater, Inc., and the Great Hudson River Revival, the annual music and environmental festival that takes place at Croton Point Park in Croton, New York. Popular on nationwide radio in the 1940s, Seeger had a string of hit records in the early 1950s as a member of The Weavers. As a songwriter, he was the author or co-author of “Where Have All the Flowers Gone?” “If I Had a Hammer,” composed with Lee Hays of The Weavers, and “Turn, Turn, Turn!” songs that have been recorded by many artists and are still sung throughout the world. Seeger was one of the singers most responsible for popularizing the early gospel song “We Shall Overcome,” which became the anthem of the 1960s American Civil Rights Movement. “Nobody knows exactly who wrote the original,” Seeger has said. Seeger planted the seed that started the environmental advocacy group the Hudson River Sloop Clearwater when he and a few friends, decided to “build a boat to save the river.” They believed a majestic replica of the sloops that sailed the Hudson in the 18th and 19th centuries would bring people to the river where they could experience its beauty and be moved to preserve it. Seeger succeeded in inspiring people to make the dream a reality. The 106-foot sloop Clearwater was launched on May 17, 1969 in South Bristol, Maine, and the inaugural sail was to South Street Seaport in New York City, and then on to her permanent home on the Hudson River. Since her launch, more than half a million people have been introduced to the Hudson River estuary through the work of Hudson River Sloop Clearwater, Inc. 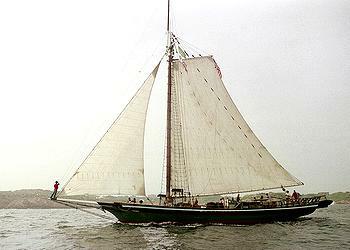 In 1972 Seeger and the Clearwater crew sailed the sloop to Washington, DC while Congress was debating the Clean Water Act. Seeger personally delivered a petition with hundreds of thousands of signatures to Congress and then held an impromptu concert in the Congressional halls. A few weeks later the Federal Water Pollution Control Act (Clean Water Act) was passed in 1972 over the veto of then President Richard Nixon. As a result, U.S. waters are now more fishable, swimmable and drinkable than they were when the law was passed. Seeger was an important voice among many who demanded government action for clean water. For over 45 years, Hudson River Sloop Clearwater has continued this mission and has long been a force for environmental clean-up and education for the Hudson River and in New York. Today, the sloop sails the Hudson River from New York City to Albany, serving as a sailing classroom, laboratory, musical stage, and forum. Hudson River Sloop Clearwater works to bring justice to the river, its environment, and to the people living along it. General Electric’s dredging to clean up 30 years of deposited PCB’s from the river is a direct result of Clearwater activism. The organization is also active in the battle to pass moratoriums on hydrofracking in the region and is outspoken on the safety issues associated with the problematic Indian Point nuclear power plant on the Hudson River in Buchanan, New York. “I have sung for Americans of every political persuasion, and I am proud that I never refuse to sing to an audience, no matter what religion or color of their skin, or situation in life,” said Seeger. “I feel that my whole life is a contribution,” said Seeger.